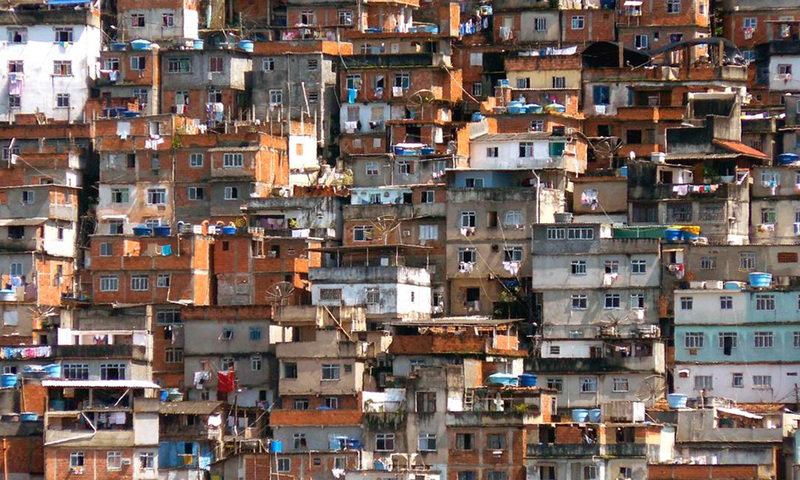 The definition Third world can be applied to the underdeveloped countries where poverty is extensive. This developing group of countries, such as Africa and Asia do not support either the former Soviet Union or the United States of America. The North-South divide is perceived as a political and socio-economic partition. It is actually the geographical partition of the globe that separates the rich from the poor. The countries in the northern part colonized nations in the southern part for the properties and barred them from advancing to ensure that their powers were minimized. Political economy defines the study of production and trade, and their connection to law, government, and custom. Additionally, it illustrates the circulation of national revenue and wealth. In fact, political economy can be perceived as the study of how a nation is governed considering both economic and political aspects. Development is a process that involves progress or growth. The process of development is commonly expected to offer a result or product. The New International Economic Order was a group of proposals set up in the 1970s by certain third world nations via the United Nations Conference on Trade and Development to support their interests by enhancing their terms of trade and elevating development aid. Walt Whitman Rostow was actually a renowned economist from the United States of America and a political theorist who worked as a Special Assistant for National Security Affairs to America. He was a strong anti-communist and possessed a strong belief in the effectiveness of entrepreneurship and free enterprise. On the other hand, Raul Prebisch was an economist from Argentina who was acknowledged for his significant contribution to Structuralist economics. In fact, he was perceived as a leader in economic expansion theory and global economic program, a global diplomat, and an institution developer. Hans Singer was also a renowned development economist mostly identified with the Singer-Prebisch thesis that illustrates the requisites of trade shift against producers of raw products. The Hegemonic theory lies within international relations, and it is fixed in studies from the areas of political science, history, and economics. This theory states that the international structure is most likely to maintain stability when only one nation-state is the principal world power. Generally, globalization involves the procedure of incorporation across global-space cropping up from the exchange of international perspectives, ideas, goods, and other factors of culture. Factors such as progress in transportation and telecommunications infrastructure and the emergence of telegraph are significant in globalization, producing added interdependence of cultural and economic events. Globally, reduction of poverty has become a significant priority for the development programs and development integration. According to Bretton, each individual is entitled to conduct a life of dignity. Clearly, people should not be denied their rights to acquire sufficient housing, sanitation, water, food, education, and healthcare. The amnesty international is continually documenting the way human rights desecrations drive and extend poverty. After numerous years, an elevating discontent regarding the lack of substantial outcomes of the poverty reduction programs in and towards poor nations began to rise. The Millennium Development Goals developed great expectations, yet it is clear that most nations are not “on track”. Poverty was greatly reduced in India and China using the procedures of Bretton Woods. Bretton argues that there is a growing agreement that accepts the significance of financial discipline and macroeconomic steadiness. However, deregulations, free trade, privatizations, and free circulation of funds continue to be highly controversial. According to Bretton, there were numerous promises of the development funds from the developed nations, but the crises slowed down the elevating amounts of aid. Bretton focused on changes such as increased revenue, more growth, and minimized poverty. He used different ideas such as social protection, social assistance, social citizenship, and poverty reduction. The Bretton woods structure of financial management developed the regulations for commercial and monetary connections among the globe’s main industrial nations in the 20th century. The United Nations viewed the Millennium Development Nations as an effective procedure of reducing poverty internationally. The Millennium Development Goals aimed at halving the challenges in the poor countries such as extreme poverty and spread of HIV/AIDS. UN is focused on its fight against extreme poverty through unprecedented efforts to handle the needs of the globe’s poorest nations. According to the United Nations, globalization has offered chances and benefits for numerous individuals in many areas of the world. However, extreme poverty has become an inevitable reality to numerous people internationally. The United Nations supports the international economic interdependence, which has expanded due to technological advancement. Robert’s involvement in international relations theory puts the discipline in a transformational structure. Based on Gramsci’s notions and a range of other sources eclectically, his theory moves beyond the neorealist state-centric structure and illustrates the relations amid material requisites, concepts, and institutions in what he refers as the creation of ‘world orders’. According to Robert, the manner in which individuals classify themselves in the realm of production not only determines their personal life but also that of their nations and the world state. In stating that change can appear from any one of the realms, Robert refutes and gets beyond the base-super system thesis of Marxism. Robert considers the development of an effervescent civil society, surfacing of organic scholars symbolizing the marginalized, participatory democratic state, non-violent procedures of conflict solving, expansion of community-level camaraderie, and multilateralism and pluralism as major elements of his transformational plan. According to Robert Cox, the study of global political economy tries to comprehend extensive interactions of political and economic aspects and the result of such relations in shaping state connections in the global field. Cox portrays the critical theory and distinguishes it from problem-solving theory. He illustrated the inefficiency of using the problem-solving theory in evaluating the globe order by stating, ‘theory is always for someone and for some purpose’. Robert states that problem solving theory is restricted in its capability to result in modifications in the present socio-political order. He argues that critical theory is an effective method to scrutinize and modifying the globe order refuting realism and neo-realism as problem-solving theories. Generally, realism is viewed as a method of studying and putting into practice global politics and economics. It focuses on the function of the nation-state and creates a broad presumption that all the nation-states are intrigued by nationwide interests. Initially, the nation-wide interest is standard and simple to define. This means that all nations strive to sustain their political sovereignty and their territorial reliability. However, the national interests acquire distinct forms. In an instance, some countries may develop an interest in safeguarding extra resources; and other countries may opt to extend their political or economic structures into other sectors. The focus on supreme power draws from the realist conception of the global structure, which is, for the realist, an anarchical surrounding. Generally, all the countries depend on their resources to safeguard their interests and sustain desirable local and global order. Political realism is a perspective of global politics that emphasizes its competitive and conflictual face. Actually, the realists view the main actors in the global arena as the nations that focus on their security, struggle for authority, and nation-wide interests. Realism is different from liberalism or idealism, which focus on cooperation. On the other hand, pluralism is perceived as a political philosophy in which recognition and affirmation of variety exist in a political body, which allows the harmonious coexistences of distinct interests, lifestyles, and convictions. Political pluralists are not naturally liberals but they support a type of political restraint. Pluralism is related with the hope that this procedure of conflict and dialogue turns out to be a quasi-common good. Pluralism does not consider social democracy, and it does not have a desirable political structure. Pluralists support a structure according to the preexisting customs and cognizable interests of a certain society, and the political system that synchronizes these aspects. In order to see that pluralism functions and illustrates effectiveness in defining the common good, the groups involved should have a baseline value, which is mutual respect. Structuralism is an approach in economics that focuses on the significance of considering structural elements when handling economic analysis. The structuralists view the world as nonflexible because human beings encounter challenges in moving or adapting, and the resources seem to be stuck. The dependency theory actually illustrates that the impoverished nations are poor since they have permitted the developed nations to exploit them via global trade and investment. It presents the concept that the resources move from a margin of impoverished and underdeveloped nations to a sphere of rich countries. The rich countries enrich themselves at the expense of the poor countries. It is a major contention of the dependency theory that the impoverished countries are poor, and the rich states are enriched by the manner in which the poor countries are incorporated into the global structure. Underdevelopment is actually distinct from dependency theory. Underdevelopment illustrates a situation in which the resources are not being employed. In an instance, the European colonists perceived the North America continent as an undeveloped sector because the land was inactively worked-on on a scale constant with its ability. According to Frank, dependency theory states that the other uses of resources are considered to be better than resource usage patterns forced by dominant nations. 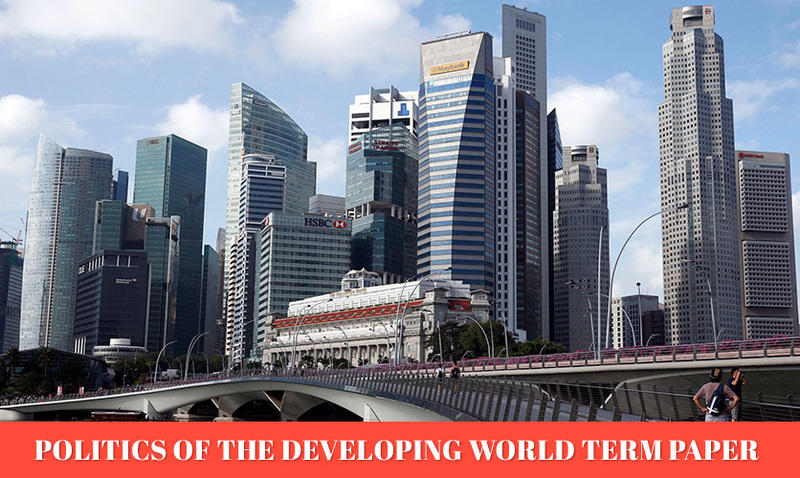 The difference between underdevelopment and undevelopment puts the impoverished states of the globe in a significantly distinct historical setting. Frank and other liberal theorists debated vigorously and intellectually regarding the dependency theory. According to him, dependency theory can be termed as an illustration of economic advancement of a nation in terms of peripheral influences such as cultural, political, and economic on nation-wide development programs. Frank argues that dependency theory is a historical situation that curves a particular structure of the international economy in a manner that it favors certain nations to the disadvantage of other nations and inhibits the growth chances of the subsidiary economics. Modernization theory is practically employed to illustrate the procedure of modernization within the societies. Modernization is defined structure of an expansive change from a “pre-modern” to “modern” society. This theory looks into the internal aspects of a nation while presuming that with aid, traditional states can be turned into developed countries just like the developed ones. Nevertheless, modernization theory is criticized among free-market and socialist principles, dependency theory, and world-structures theorists. There are five stages of development, according to Rostow. The traditional society possesses a system that is established in minimized production activities. The aspect of the traditional society is, nevertheless, static and it would not leave out increases in output. The second stage of development appreciates societies in the procedure of change, which is the moment of preconditions for take-off is established. It takes a period to change a traditional society in the manner necessary for it to be modern. The third stage is the take-off, which illustrates that the ancient blocks and struggles to steady development are overcome. Development becomes the normal condition in society. The most visible feature in this stage is economic progress. The fourth stage is the drive to maturity, which involves regular development of economy that fuels society to modern technology in its economic activity. Its features include modern efficient production and modern technology. The fifth stage is the age of high mass-consumption that involves major sectors turning towards resilient consumers’ products and services. At this stage, societies experience great maturity, and it is a phase where the western nations surface. The features of this stage include high technology and political processes. I highly consider modernization because it is a process that involves transition from conservancy to modernity and enriches a nation-state. Basically, hyper-globalism is employed to illustrate a variety of claims that globalization has deliberately discriminated the nation-state as a container and controller of cultural, economic, and political aspects. Hyperglobalists have the perception that international markets and technological advances such as transport and communication areas have developed globalized moves. The hyper globalists view globalization as a modified epoch in human history. The modified epoch is attributed to declining significance and power of nation-state. The skepticism school of thought is actually philosophical and a procedures that crosses cultures and disciplines. The philosophical skepticism is a method that interrogates the possibility of certainty in knowledge. Skeptical perspective on globalization illustrates the global procedures are there more through fragmentation and regionalization than globalized. The authors that possess the skeptical perspective refute the ideas that development of an international culture or an international governance system. The development of the multi-national companies does not illustrate that countries are no longer significant for controlling the moves of economic privileges. Skeptics actually argue that globalization is non-existent, and that there is nothing like a globalized economy. Skeptics state that international governance systems and culture subsist as a concealed edition of neo-liberal economic techniques that benefit the Western nations. The transformationalists believe that the result of procedures of globalization is not considered. Moreover, they argue that there is not a single reason, economically, behind globalization. The transformationalists’ view illustrates that they have a less determinate comprehension of the procedures of globalizations than the other schools of thought. Therefore, the three schools of thoughts actually possess different ideas about the globalized economy. As far as am concerned, the hyper globalizers make sense because their perspective actually illustrates the current economic state internationally. It is evident that, today, international economy has turned out borderless because innovation, revenue, and information are moving all over internationally quite fast. The globe has become a village and the flow of these products globally is actually fuelled by customer’s interests for acquiring the best products. Basically, this flow of goods globally enables the maturity of international economy.